All cut flowers have a certain lifetime. But there are several ways to keep them long lasting and not fade away too quickly. Do not change the environment fast. 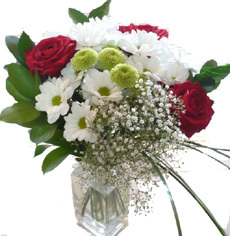 For example when you get flowers home, do not put them straight away in living room or bedroom. Keep then in the hall for some time. So, they will get used to local temperature. 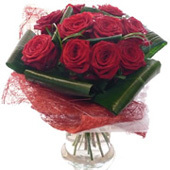 Put them in a vase, make sure that the stems are accurately cut with knife or succors under running water. Also make sure that there are no leaves at the end of the stem that are supposed to be put in water. 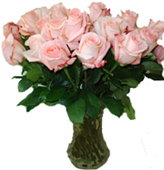 Flowers collected in bouquets usually lack water. Make sure that you poor enough water in a vase. Keep flowers in warm water. So, they will absorb more water. Flowers with flexible stems should be cut at oblique angle. Check flowers regularly and add water if necessary. It’s especially important during hot weather and in houses with central heating. If you add ammonia, insecticide substances or sugar for fresh-cut flowers into water they may make flowers stay for longer time. Also, please check that the water is pure. Spoilt or dirty water makes flowers fade away very quickly. Never put a vase near equipment or direct sun rays. First of all you need to cut-off all thorns and low leaves. Some roses don’t have thorns. 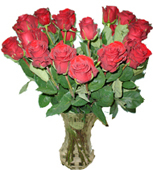 If roses are fading too quickly, cut the stems again and put the stems in hot water. Also, you may take away faded leaves. Roses can’t be in the same vase with other flowers. 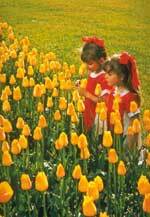 Tulips fade away rather quickly, but if you put their stems in hot water, they may recover. Leave them in hot water until full recovering. They may stay in water for 10 days. You need to take away low buttons during that period. They do not stay long in a vase. That’s why you need to wash the vase carefully and add insecticide to a vase.